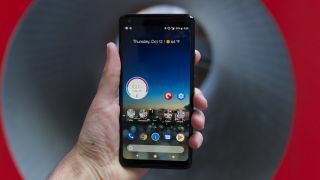 There's a problem with the Pixel 2 XL screen serious enough that Google has responded with a statement, according to a new report today. Right away, we noticed this new Android Oreo phone exhibited muted colors compared to the smaller Pixel 2 and even last year's Google Pixel and Pixel XL. The good news is that Google is acknowledging the disparity between screens, telling 9to5Google, "we will consider adding more display color options through software if that makes the product better." Google already has a vibrant mode that increases saturation levels by 10%, but it doesn't really fix the issue at hand, as it's own by default. The 6-inch Google Pixel 2 XL screen flaw shouldn't be a deal breaker if you're looking for an all-screen, VR-capable phone with the best camera on a mobile device. It remains a recommended product on TechRadar. However, you should go into buying this smartphone knowing that its colors and brightness are a bit dull, especially when you view the screen from an angle. This isn't an issue on the Google Pixel 2, which has a 5-inch P-OLED screen with superior colors, but also has distractingly large bezels and a resolution capped at 1080p . We still recommend the Pixel 2 XL for its larger, all-screen front design and more VR-friendly Quad HD resolution, especially if you ever plan to use the Google Daydream View headset.